Westbrook performed Phase 1 & 2 demolition plans for the removal of the concrete deck and concrete girders. 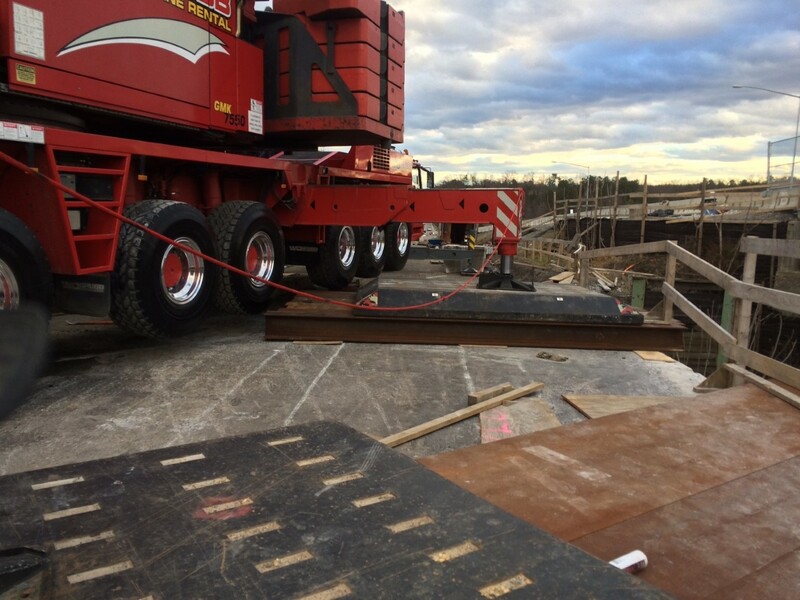 The challenge was setting a 550 TON crane on the existing bridge to remove the bridge slab and girders. WAE analyzed the existing bridge to ensure that the bridge could support the crane outriggers. 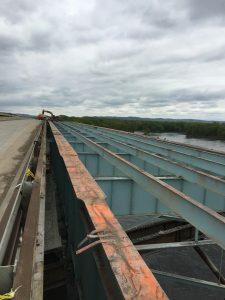 The contractor needed a device to catch light falling debris when lifting and removing bridge decks. 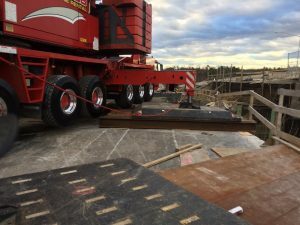 WAE designed a 30’x10′ “C” platform to hang from a crane and catch light falling debris resulting from the bridge deck removal procedure. The platform can support a maximum 7,000 lb load and can be disassembled for easy shipping. 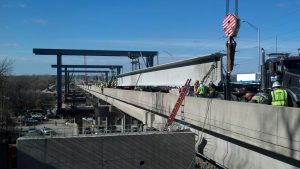 Westbrook designed a job-specific gantry for lifting and setting prestressed girders. 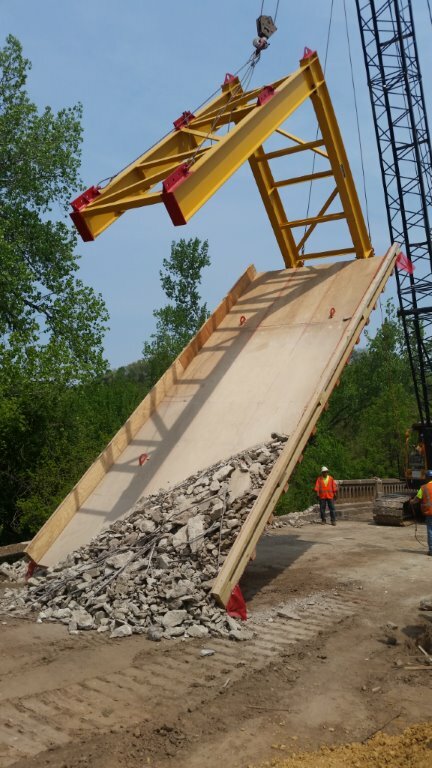 This method eliminated a construction joint from the bridge deck and helped the client bid the project by winning a $2 million bid bonus!